After her success with audiences and critics in her debut of Donna Elvira (in Mozart’s Don Giovanni) which marked the opening of the Spoleto Festival dei Due Mondi, the Spanish soprano Davinia Rodríguez will go back to one of her best-loved roles, that of the slave Liù in the Puccini opera Turandot. It will be this summer at the emblematic sphaeristerium at the Opera Festival in Macerata (Italy) on the 21st and 29th July and the 4th and 13th August. The Italian festival will open its programme for this year with a new production of the masterpiece by Giacomo Puccini, directed by a duo formed by Gianni Forte and Stefano Ricci, who will both be entering into the opera world for the first time. Davinia Rodríguez, who first took the role of Liù some seasons ago at the ABAO-OLBE season (Bilbao), will this time share the stage with Iréne Theorin (as Princess Turandot) and the tenor Rudy Park (as Calaf), among others. Pier Giorgio Morandi will conduct. 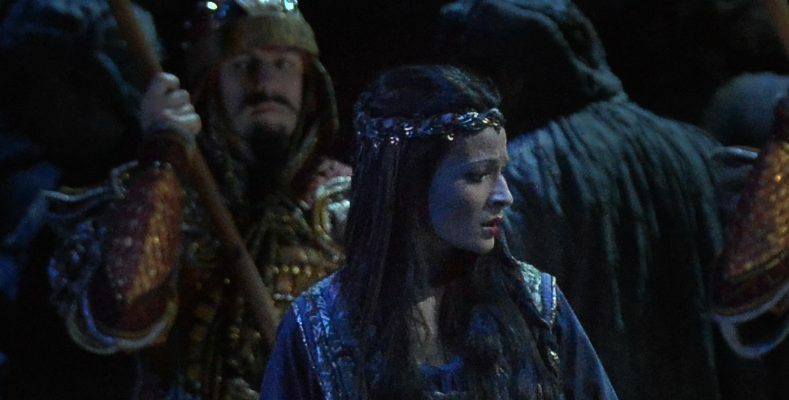 The soprano, who was born in Moya (Grand Canary), will begin her next season in October with a return to the Teatro San Carlo in Naples as Amelia in Simon Boccanegra.